Pompom Cotton Candy is rather unique! This quirky pal has specially coloured fur in marshmallow and lilac mottles - no two Pompoms are the same! We wouldn't have it any other way. Raspberry Ripple Pompom is ready to hit the disco! This loveably lanky fluffball friend is as soft and yummy as a big bowl of ice-cream! 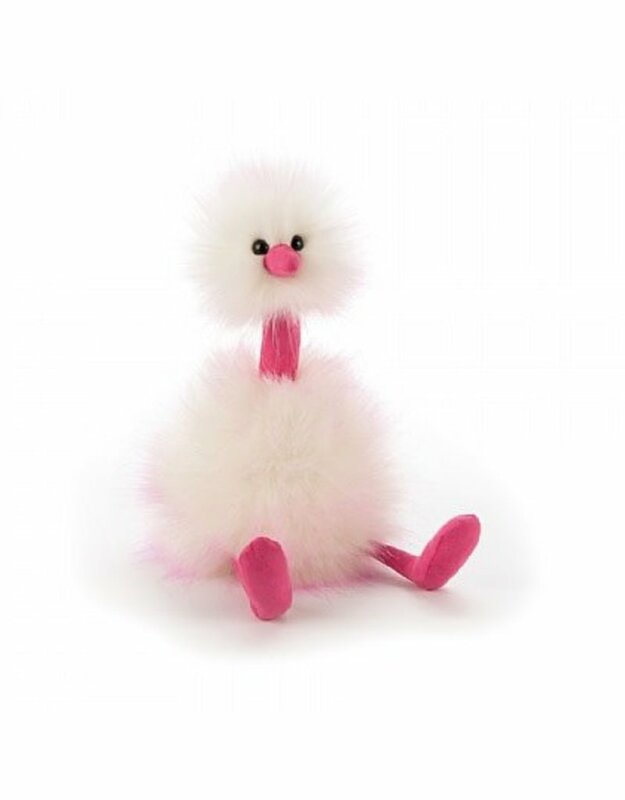 This Pompom loves to pose in suedey pink space boots to match that cool tall neck and beak!